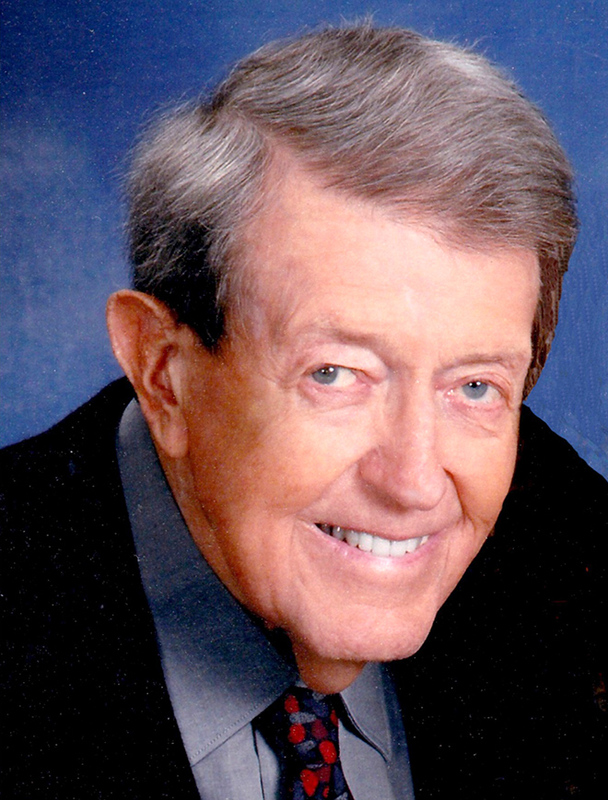 Burton “Jack” Pierce passed away peacefully at Mercy Hospital, Janesville, WI on Tuesday, Feb. 5, 2019. Jack was born in Green County Wisconsin on Sept. 17, 1926 to Ralph and Vernis (Matzke) Pierce. He graduated from Brodhead HS in the class of 1944. Jack served in the United States Navy during World War II. He was assigned to the USS Topeka and toured the South Pacific. After proudly serving his country, young Jack attended U W Madison earning a degree in Business Administration. A college highlight being his membership in Sigma Phi Epsilon Fraternity. Soon after graduation, Jack joined the sales staff at Monarch Range in Beaver Dam WI. While working there he met a cute young receptionist, Betty Priest. After a whirlwind romance and the twinkle in Jack’s eye, he persuaded his future wife to follow him to Colorado. Jack and Betty were married on March 31, 1951 in Littleton, Colorado. Jack and Betty moved back to Wisconsin to start a family and settled in his home town of Brodhead. Jack’s Uncle Dwight Pierce partnered with him and started Pierce Furniture in 1952. Jack became sole owner a few years later. Betty and mother Vernis worked alongside him in the early years with oldest son John joining the family business in 1979. The business has thrived into its 67th year based on simple values of creating a great customer experience. Jack retired at the youthful age of 80. Jack was a proud UW Madison Alumni. As an avid sports fan he held season tickets for Football, Basketball and Hockey. Jack and Betty enjoyed attending Badger games, many times attending a Football game in the afternoon and a Hockey game the same evening. Jack was passionate about the community of Brodhead. He was a charter member of the Brodhead Jaycee’s and honored with its ‘Young Man of the Year’ award during his tenure. He was elected to serve on the Brodhead City Council. During this time, he was most proud of being part of the decision to build the North Side Park swimming pool, which still serves the city to this day. Jack actively served on the Board of Directors at the Bank of Brodhead for 45 years. He served on the National Home Furnishings Association Board. He was involved in many civic organizations including Masons, Elks and Lyons Clubs. Jack and Betty enjoyed traveling the world. They wintered together for over 30 years near Vero Beach Florida and spent many summer at the cottage on Lake Redstone near Lavalle WI. The couple loved spending time with family and friends from near and far. Jack is survived by his wife, Betty, Janesville. His three sons, John (Julie) Janesville, James (Thanita) Thailand, and Jeffrey (Lori) North Freedom, PA. Three grandchildren, Jeffrey, Justin and Nicole. Two great grandchildren, Maddy and Jack. He is preceded by his parents, and sister Patricia Kinziger. The family would like to thank Mercy Hospital Staff and Mercy Hospice Staff along with all who provided loving care to Dad.